The kitchen unites the dining room with a breakfast room open to an outdoor grilling porch. The master suite, which features its own walk-in closet and full bath, is set apart from the rest of the first floor for extra privacy. 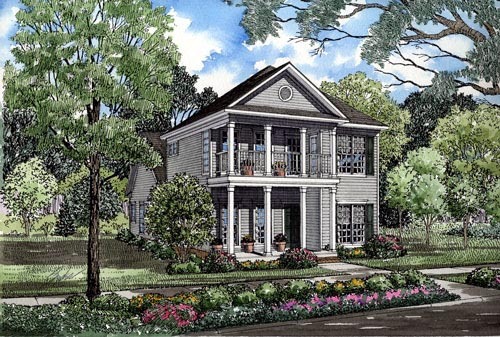 A handy computer desk is built into the second floor, while a gracious two-story porch accents the outside. This home is designed with slab and crawlspace foundation options.